Buying or renewing an insurance policy can feel like a monumental task. 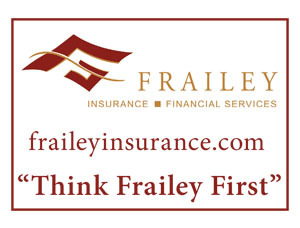 At Frailey Insurance and Financial Services, we resolve to make shopping for auto insurance easier than ever. Our insurance agents in Stroudsburg PA offer a free annual review, which helps identify any gaps in your coverage and makes sure you’re getting the discounts you deserve. With their level of customer service, you can take a more proactive approach to your auto insurance without taking up your whole afternoon. Our insurance agents can happily guide you through the basic coverage types and limits. We can also go over discounts that may apply, such as a multi-policy discount and good student discount. We pride ourselves in helping you find the insurance you need at a price that’s right for you. We help protect what matters most for our clients in Swiftwater, Saylorsburg, Wind Gap, and Pocono Summit PA.